Our car wound along a wooded road in Northern Ireland as sunlight pierced through the thick forest brush above. Donegal County was recently named on National Geographic’s Cool List for 2017 and I was excited to spend a night here. We followed the roads curve to the left and an ivy-covered rock wall came into view. Its rough stones had fallen haphazardly along the grass years ago. The songs of wild birds drifted lazily into our vehicle as the forest cleared revealing the historic Lough Eske Castle – our home for the night. As we pulled into the circular driveway the castles towers seemed to stretch endlessly into the blue sky. The family crest was carved into the stone above the heavy wooden entrance doors, which were propped open welcoming us home. I felt as if I was Irish royalty – if only our car had been a horse drawn carriage – then that dream would have become reality. The interior of the castle had a welcoming and warm feel to it. This was likely due to the two fireplaces on either side of the entranceway. Both of which were intimate rooms with beautiful furniture and classy décor symbolic to the castles origins. On the walls, massive portraits of Irish nobility were hung with care, reminding visitors of the castles rich history. The meticulously restored castle hotel maintains a blend of casual, country-style comfort and modern luxury. Rooms have a massive four-post bed, a spacious desk, coffee table and lounging area; complete with a sofa and chair. The closet was practically walk-in and lined with fragrant wood, which left a lovely smell dancing in the air after opening it. In my opinion, the bathroom was the star of the room. It was complete with a Jacuzzi, rain shower head, duel sinks, a towel warmer and a powdering room. What struck me the most was the invigorating and memorable quality of the toiletries. The shampoo and conditioner were produced locally and made from cedar wood, lemongrass and carrageen seaweed extract. It was the perfect smell for a castle in the Irish woodlands. After settling in, we took a moment to explore the grounds. Beautifully landscaped flower gardens lined the property. Stonewalls from 17th century enclosed the gardens and spa. The pool was encased in glass, allowing swimmers to gaze at the wooded landscape year round. A iron gate to the gardens. 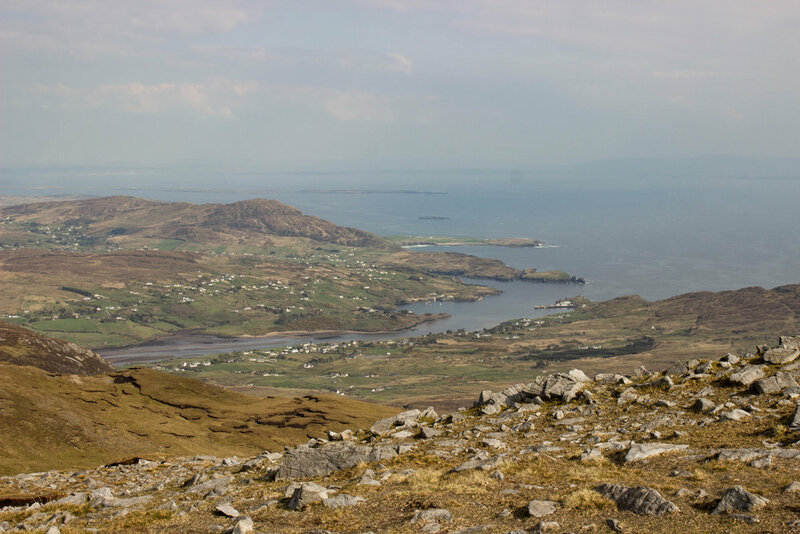 Donegal is a relatively unexplored area in Ireland compared to popular tourist cities, such as Galway and Dublin. I wasn’t sure about what to do in the area and asked for advice from the Lough Eske staff. A kind woman at the check-in desk recommended Sleeve League – a short hike that ends leads to a beautiful view of the Atlantic Ocean. 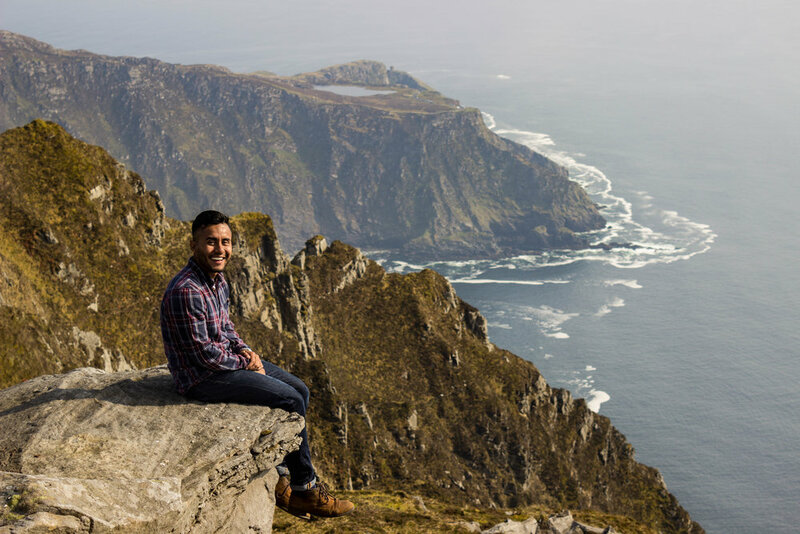 Sleeve League has the highest cliffs in all of Ireland at 601km. 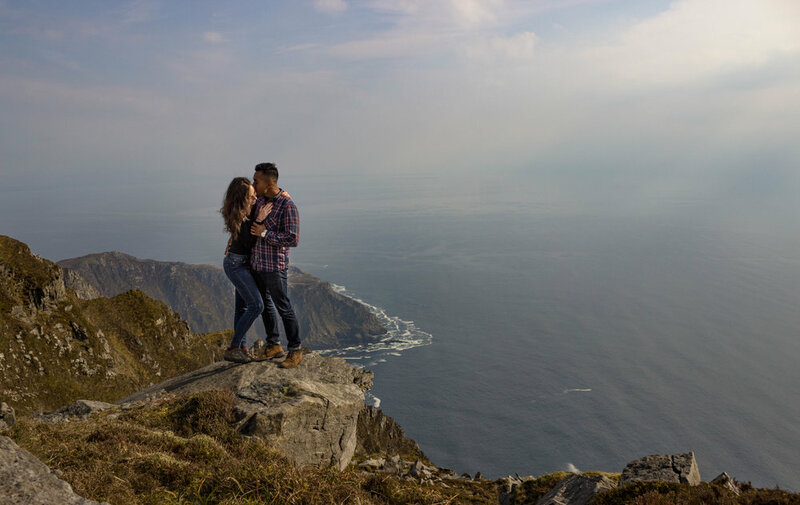 It is just as gorgeous as the Cliffs of Moher yet many visitors are not aware of its existence. We drove about 50 minutes from the hotel to get to Sleeve League and were blown away by the natural beauty of the area. There were practically no tourists there, which allowed us to have an incredibly private experience that isn’t normally found at attractions of this caliber. 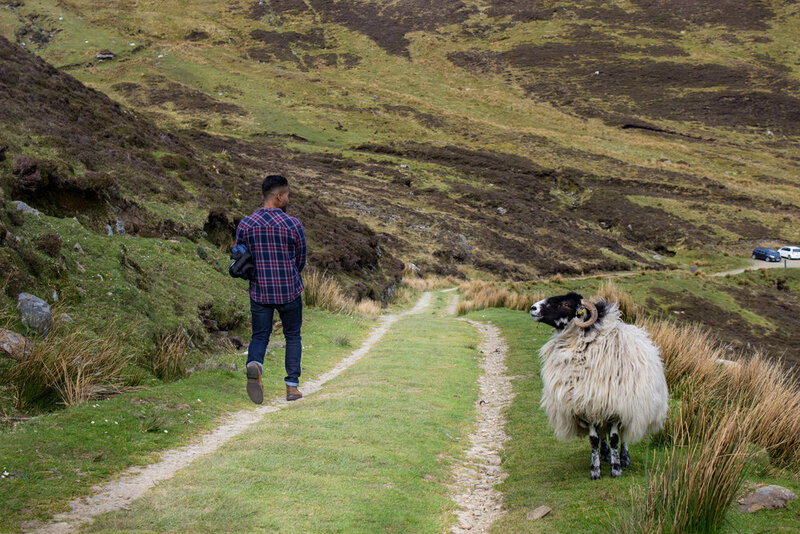 After hiking to the top and taking in the view of the Atlantic Ocean from the jagged cliffs we headed back to the car and drove to dinner – stopping occasionally to take photos of the grazing sheep on the green Irish hills. For dinner we ate at Cedar’s Grill – the main restaurant at Lough Eske Castle. It is the only restaurant in Donegal that offers contemporary dining while using all local produce, meats, and seafood. Our meal was remarkably memorable. The cuisine was both tasty and visually pleasing, after all, you eat with your eyes first. From start to finish we were impressed. To begin, our bread was served over hot stones and to end our dessert was a practically a theatrical production. To read about our full experience see my article about it here. After a hearty Irish dinner, we lethargically made our way up to our room in the historic castle. I had a hot tea by the cozy fire and eventually drifted off to sleep. Lough Eske Castle is Donegal’s only 5-start hotel and it is absolutely worth the visit while touring Ireland via the Wild Atlantic Way. We only had a few nights in Ireland and I wish I could have stayed at Lough Eske Castle longer! We were guests of Lough Eske Castle, however, the opinions are my own. Room prices vary year round. For more information visit solishotels.com/lougheskecastle.